Anabolic steroids are well known for their ability to help athletes build muscle and improve their performance. Of course, steroids are banned in all major sports like mixed martial arts (MMA). Anybody who's caught juicing is looking at a lengthy suspension. Considering that some steroids leave metabolites behind for months, many athletes don't take the risk. But according to an MMA legend, fighters haven't stopped using performance-enhancing drugs (PEDs). Instead, they’ve just switched over to human growth hormone (HGH). Keep reading to find out what this UFC legend said on the matter along with the primary benefits that HGH provides to fighters. Does MMA Have an HGH Problem? 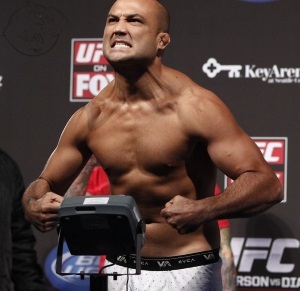 BJ Penn is one of the most-celebrated athletes in UFC history. The recently retired fighter captured both the lightweight and welterweight belts during his 16-year UFC career. "The Prodigy" has only been retired from the sport for a year, so he still has good insight into MMA. Therefore, it's quite interesting that he recently told BJPenn.com that some fighters have switched from taking testosterone to using HGH (1). What evidence does Penn have to support these claims? He believes that the evidence is there for everybody to see, with more fighters showing water retention – a common HGH side effect. “USADA [testing agency] told me that they have a test to catch HGH users, but I haven’t seen anyone getting busted and everyone’s stomachs are getting bigger," he explained. The latest USADA test is only designed to catch fighters who've been using HGH within the last two weeks. This makes Penn skeptical about the organization’s effectiveness. In the end, he'd simply like to see USADA have more reliable means of catching fighters on PEDs. Penn isn't the only one bringing up the subject of growth hormone in the MMA. Respected coach Firas Zahabi spoke with SportsJoe about how HGH is the most-effective PED that a fighter can use (2). “One time I was training a doctor and we were talking about that, what would be the most dangerous thing?," said Zahabi. "What should we be aware of that our opponents might be taking? Zahabi went on to describe the incredible recovery benefits that HGH can provide for athletes. What Other Benefits Does HGH Provide MMA Fighters? Aside from helping athletes recover much quicker, HGH can offer a number of other perks. MMA fighters are especially interested in the healing benefits of this drug. Research shows that HGH can speed up recovery time for damaged ligaments, muscle tears, bone fractures, and back injuries (3)(4)(5). Considering that mixed martial arts is quite possibly the most-brutal sport, any fighter can benefit from recovering from injuries much faster. Of course, HGH also has a reputation for dramatically improve athletic performance. There’s certainly merit behind this reputation too when considering that growth hormone leads to quick fat loss and increased lean mass (6)(7). 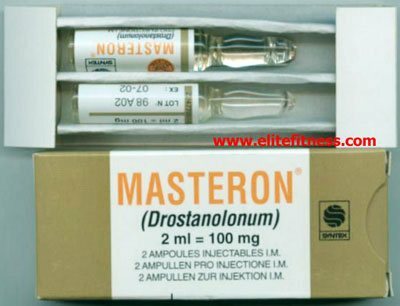 This drug has also been shown to directly increase athletic performance (8). With this being the case, it's no wonder why every major MMA promotion has banned participants from using HGH. BJ Penn recently shed light on what he believes is a growing problem in MMA. And there's factual evidence to support his statements when considering that multiple fighters have been caught taking this compound. The fact that the latest test for catching HGH users only goes back two weeks doesn't serve as a major deterrent either. One can use this drug for months before their next fight, then go off it a few weeks before they're set to compete. The UFC does have random drug testing. However, the majority of testing is done the day of fights (9). As long as one doesn't get tested randomly, they can plan out their HGH usage to circumvent the current testing procedures. Of course, none of this guarantees that the sport is rampant with athletes using growth hormone. But Penn is likely right in that some fighters have switched from steroids to HGH. Using the latter allows these athletes to enhance their abilities without as much fear of being caught. For a limited time, November 2018 Juvetrope HGH has a 15% off sale promo, coupon code: nov15 -- use it soon!!! 7. Crist DM, et al. Body composition response to exogenous GH during training in highly conditioned adults. J Appl Physiol. 1988 Aug;65(2):579-84. Did Hollywood Stars Stop Using HGH?